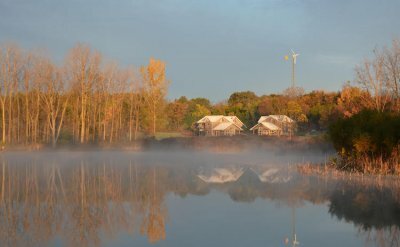 Morning Edition Host Michael Linville speaks with Dr. Rebecca Stoltzfus about her early tenure as Goshen College President and her inauguration ceremony tomorrow morning at 10 in Sauder Concert Hall. Researchers and professors have long warned against the dangers of excessive screen time, especially in young children and adolescents. “These young people are being considered natives,” Julie Reese, professor of psychology at Goshen College, said of today’s youth. 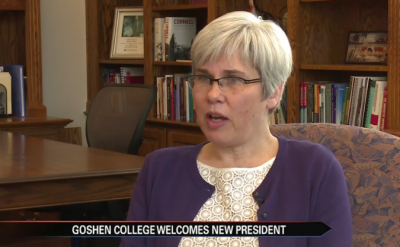 Ahead of her inauguration as Goshen College’s 18th president, Dr. Rebecca Stoltzfus discussed her plans for the college’s future. Where you choose to live is one of the most important decisions of your life. That was the message as hundreds gathered at Goshen College Tuesday to listen to Diane Lawson, CEO of the Elkhart County Convention and Visitors Bureau as she detailed the progress made on Vibrant Communities’ Quality of Place initiative. 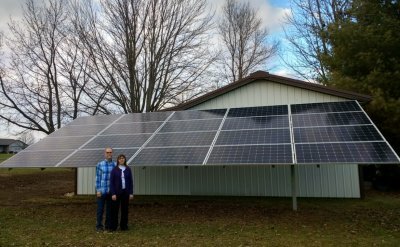 Goshen now has 103 watts of solar PV installed per capita, which would place it ahead of solar meccas like Sacramento, Denver and San Francisco in 2017 per capita rankings. 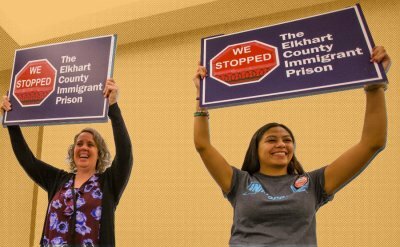 When Mike Yoder, a county commissioner in northern Indiana, learned about plans for a private prison nearby that would have a contract with Immigrations and Customs Enforcement to house people from a six-state region in the Midwest, he went to his pastor. ICE wanted more detention centers in the Midwest. One community fought back.